If you are not careful to get regular maintenance on your car though, you may find your car making strange noises, lose your steering, and potentially find yourself in a life-threatening wreck. One of the vehicle parts whose malfunction can cause problems like this in your Volvo is the tie rod. What is the tie rod? Tie rods are the cross piece that connects your steering wheel column to your wheels. They must be aligned just right (along with your wheels) so that both front tires turn at the exact same angle. If they are set too far in or out, it will cause a reduction in speed due to friction and could cause you to lose your tire or wheel altogether. Your tie rod wears out over time and regular use. Vibration, such as those experienced by driving on bumpy roads, can hasten this breakdown. While any kind of collision is detrimental to their alignment, hitting your wheels against objects can be especially harmful. Even small objects, if they are heavy or solid enough, can pull your wheels out of alignment and damage your tie rod. Your alignment is not just a left/right configuration. 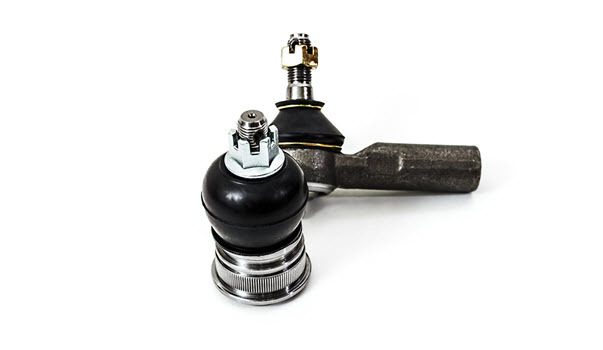 Your tie rod is also connected into your suspension system and going over a suddenly raised terrain too quickly may throw your alignment out and damage your tie rod. How can you tell if the tie rod is going bad? As with many alignment-related issues, you may feel the symptoms before you see or hear them. In vehicles with healthy alignment, you will travel in a straight line until you turn the steering wheel. If you begin to notice a tug on the steering wheel or your car drifting to the left or right when you have the steering wheel centered, you probably have a problem in your alignment. Here are three other signs that your tie rod is going bad. As mentioned above, any time the alignment gets out of whack your tie rods should be checked for excessive wear and tear. It is vital that you do not pay to have your alignment done before you check your tie rods because any replacements or adjustments they go through will cause your Volvo to go out of alignment again. Fix and replace parts first, then you can make alignment adjustments afterward. The tie rod is essentially a piece used to hold everything tightly together between the steering wheel and the wheels. If you notice any shaking in the steering wheel (or anywhere else in that steering-to-tires system), it is a sign that your tie rod is malfunctioning. The faster you drive, the more you will notice vibrations. Even if it only vibrates noticeably when it gets between 50-60mph, you should still get it checked out. Once the vibrating starts, it will wear out at an increasing rate. Vibrations could also indicate a problem with your tires, your wheel, or possibly your suspension as well. Chances are good that your tie rod will be affected as well. 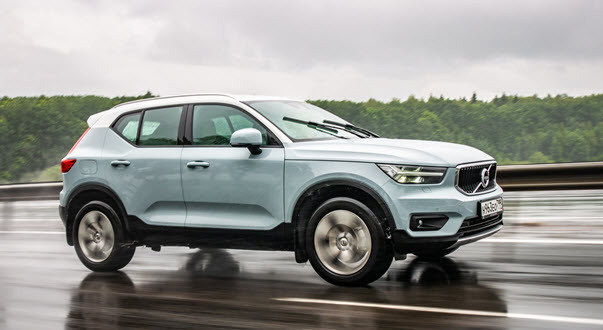 If you notice vibrations in the steering system, it is important to have your mechanic check the whole front-end of your Volvo to determine the full scope of the problem. Trying to fix the tie rod when the suspension is out may just cause the new tie rod to be damaged, putting you right back to square one. The final symptom of tie rod malfunction is abnormal wear on your tires. The rubber tread on tires gets worn naturally just by driving. Tougher terrain creates more wear and tear on them, but if your alignment is correct, that wear should be even on the tire, and similar between tires. This is why tires are often rotated before they are replaced. If you stand at the front of your vehicle, you should be able to see even wear on both the inside edge and outside edge of your tire. If it is not, you should get your tie rod and alignment checked out. If you notice any of these three tie rod problems with your car: poor front alignment, shaking steering wheel, or abnormal tire wear, come by A&M Auto Service. We service the areas of Pineville, Charlotte, and Greensboro, NC, and can help get you safely back on the road again. We are the #1 ranked European Auto Service center in the area. Make an appointment with our specialists today and save money in preventative maintenance, rather than waiting until your car breaks down and you end up replacing more damage.